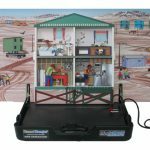 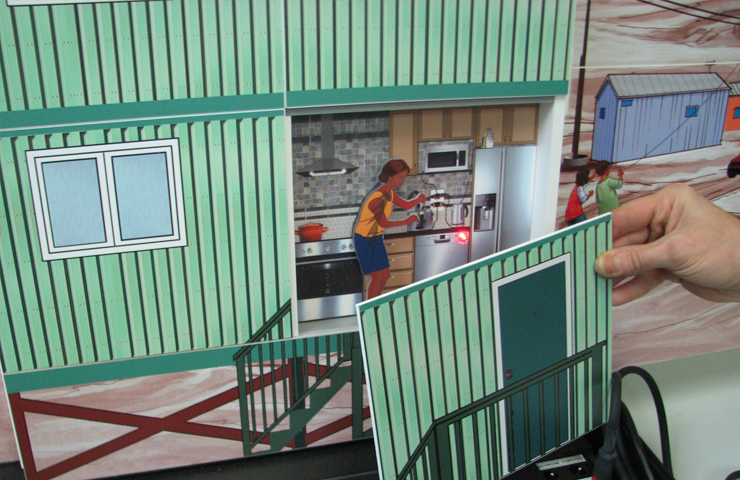 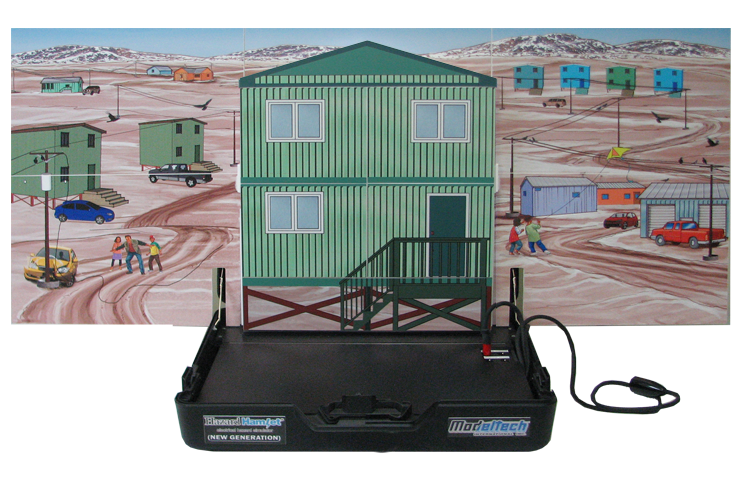 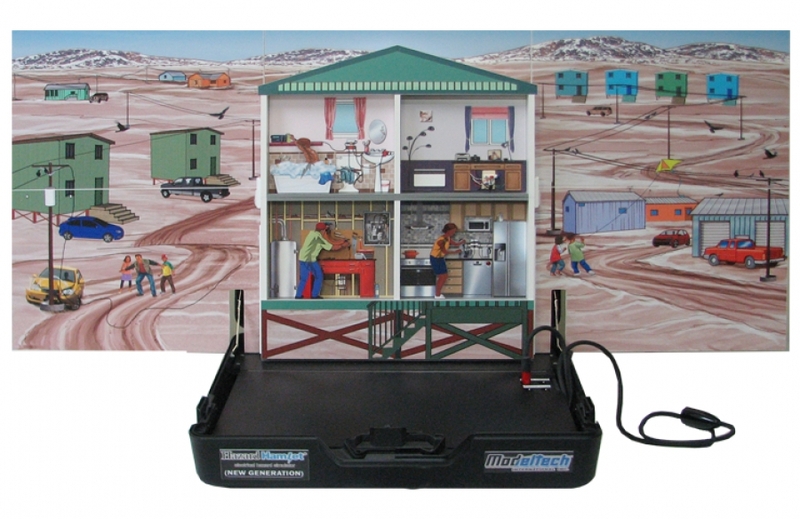 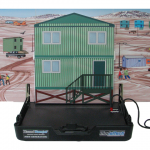 This exciting version of the Hazard Hamlet energy safety simulator shows common risks around the house, along with removable background panels presenting exterior hazards (such as downed power lines or kite flying), all neatly packed into a light and portable briefcase. 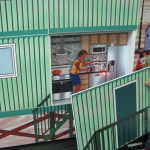 In addition, siding panels can be removed individually, to focus on the hazards of one specific room at a time. 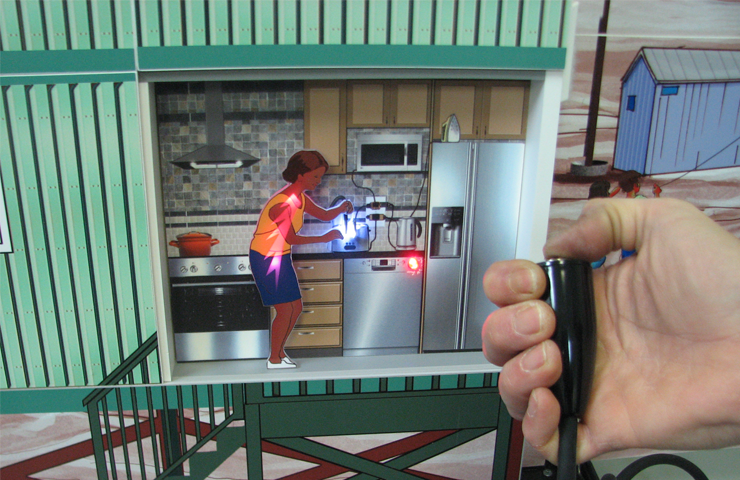 It’s the perfect tool to teach your audience about electrical safety around the bathtub, the dangers of octopus plugs and frayed wires, and why they should be careful around toasters. 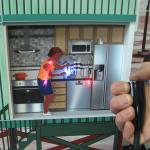 Select scenes manually, then activate the loud arc by remote.